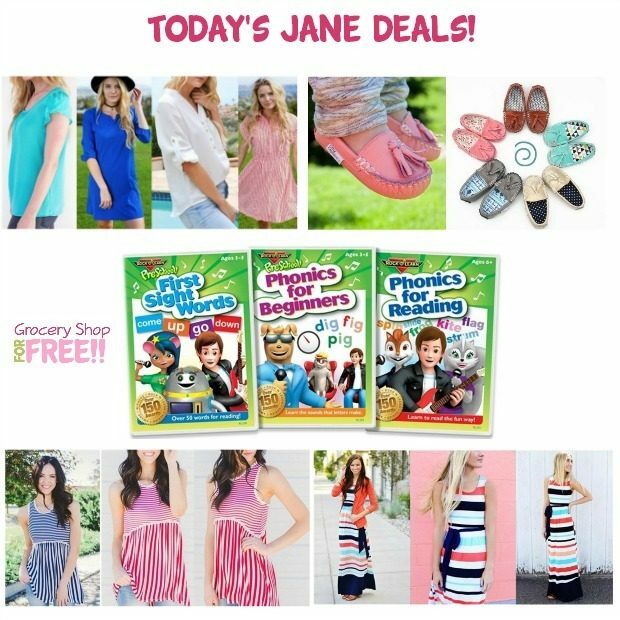 You are here: Home / Great Deals / Today’s Jane Deals! 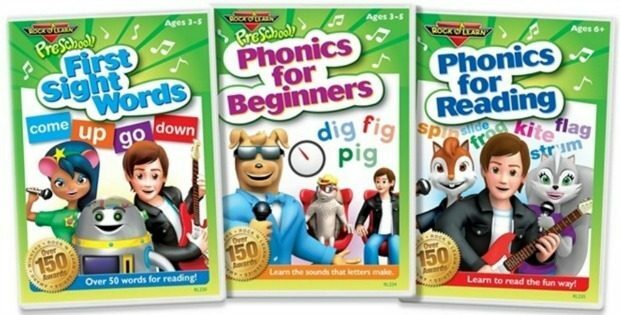 Engage your little scholars with the adorable characters, pop-style music, and solid educational content in these award-winning videos. 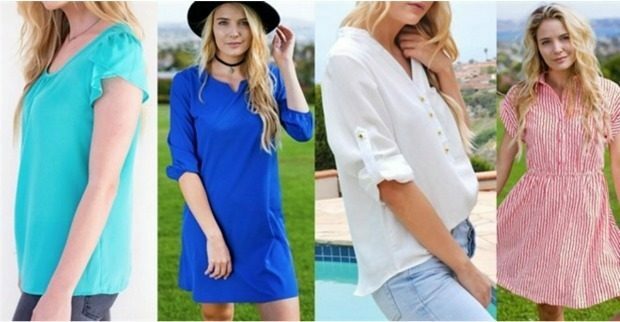 These are perfect for Spring & Summer. It is perfect for a day into evening look! Available in multiple color options. These are sure to become a MUST have in your wardrobe. No matter the season, you always need a comfy cute maxi! And luckily this one transitions to fall nicely when paired with our favorite button cardigan! With colorful stripes, this dress is the perfect bright addition to your fall wardrobe to add some color! Not to mention how comfy it is! You might end up wearing it around the house just because you can! The same cuteness has now made its way to your bigger little ones. New patterns and colors, but same quality and comfort. We have designed a hard sole to give your new walker the confidence to be on-the-go. Created with high quality leather and custom made cotton lining, it is like wearing slippers all.day.long. Available in 5 color options and 6 sizes. Please see size chart for guidance. 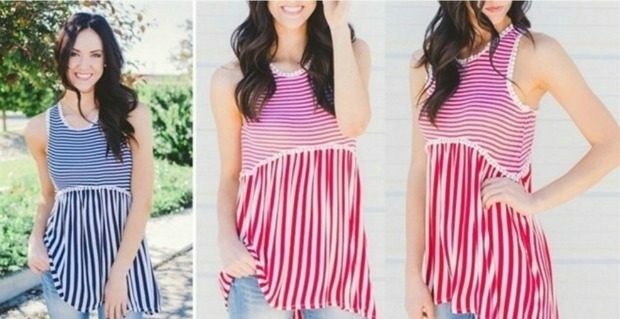 Pom pom on in this darling summer ready tank! 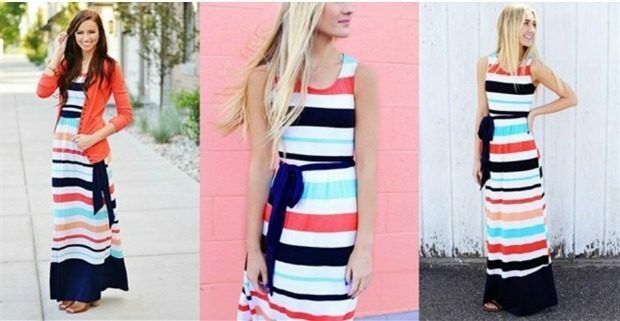 The stripes that contrast each other in different directions are a fun way to add dimension to an every day look. Then you go and add the subtle pom pom trim, and it’s next level perfection!! Model is 5’6″ wears a size 4 and is modeling the size small.